The popular BiteSMS jailbreak tweak is long gone now. It was last updated for iOS 7.x and since then we haven’t heard much about it from the team behind the tweak. It’s probably safe to assume now that it won’t be updated for iOS 9 either. 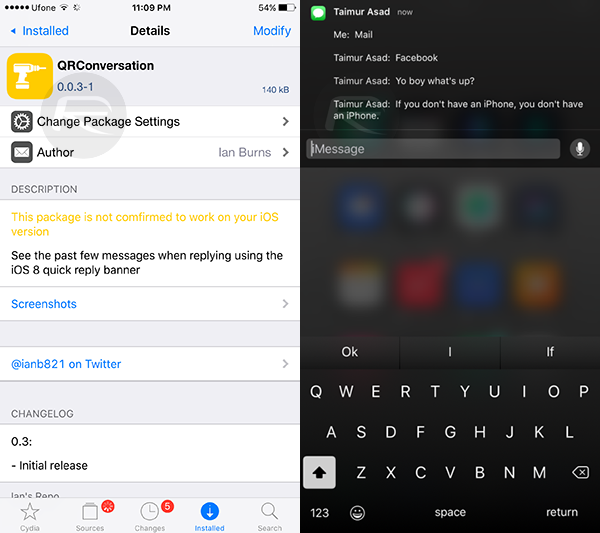 Seeing this, here we take a look at some of the jailbreak tweaks that are worth checking out as an alternative for BiteSMS on iOS 9. It is important to note that while these tweaks mimic some of the functionality that was available in BiteSMS, none of them are its exact clones and none of them provide all of the functionality which BiteSMS used to provide. In conjunction with the stock Quick Reply feature in iOS, you can use the following tweaks, standalone or in a combination, to restore some of the functionality and experience which BiteSMS used to provide on jailbroken iPhones. Columba has been available on previous versions of iOS for a while now. The tweak has recently been updated to support jailbroken devices on iOS 9-9.0.2. However it is available in a beta state for now and the developer is still working to get the final version out as soon as possible. For the uninitiated, Columba has a plethora of features and functions to offer for your messaging needs, including quick composition, preset templates for messages and windowed messaging. 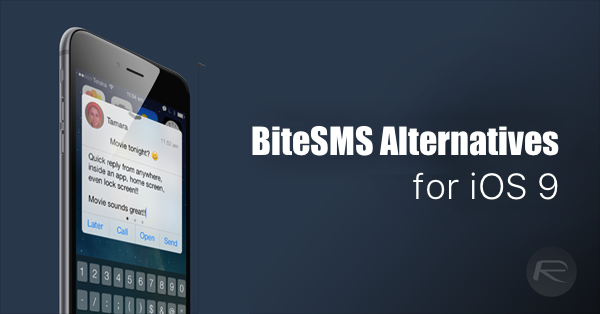 Most importantly, Columa also brings SMS scheduling to the table – a much popular feature of BiteSMS. While the beta version is available for free right now, the final version of the tweak will cost $2.99. For detailed information on what Columba has to offer, check out our previous post on it here. 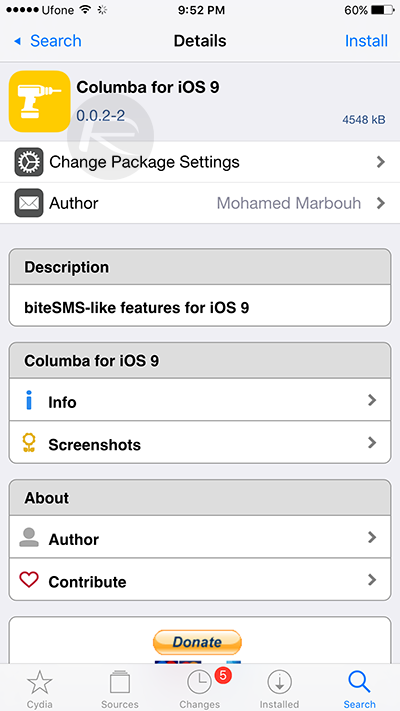 Beta version of Columba for iOS 9 can be downloaded from the developer’s repo in Cydia: apt.mootjeuh.com. The native Quick Reply feature in iOS is great and all. However it doesn’t allow you to peek into what the entire conversation is all about. We’ve all been there plenty of times where we have to open up Messages app just to read up on the last few texts before replying. QRConversation tweak fills that void in allowing you to pull down an incoming message notification to show the last four messages in a thread. The tweak is not officially supported on iOS 9 yet, but we have tested and can confirm that it worked fine on our iPhone 6 Plus jailbroken on iOS 9.0.2. The QRConversation tweak can be downloaded from the developer’s repo in Cydia: cydia.ianburns.co. This tool is described by the developer as “Centralized Quick Reply System”, but it has a lot more to offer. In a similar manner to QRConversation, Couria allows you to swipe down on an incoming message notification, giving an expanded and scrollable view of your conversation thread. Additionally, you can also theme the color of the background, text, and text bubbles. For more information on what Couria has to offer, check out our post on it here. Couria can be downloaded for free from the BigBoss repo in Cydia. It is officially compatible to run on iOS 9.0-9.0.2. One of the huge selling points of BiteSMS was the SMS scheduling feature. 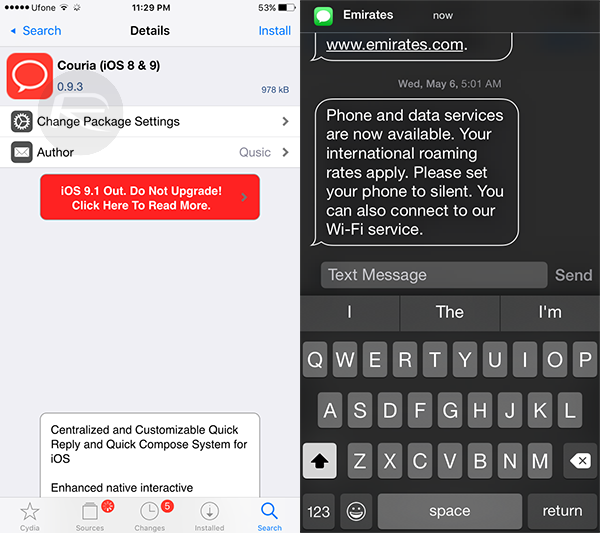 If you’re just looking for a comprehensive text message scheduling solution, look no further than Programmable SMS jailbreak tweak. The app is not officially supported on iOS 9 yet but has been confirmed to work just fine on iOS 9.0-9.0.2. 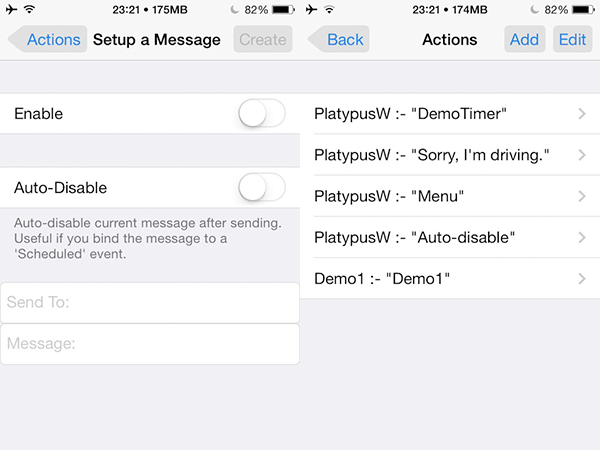 It lets you schedule texts by binding a message to ‘Scheduled’ event in Activator. 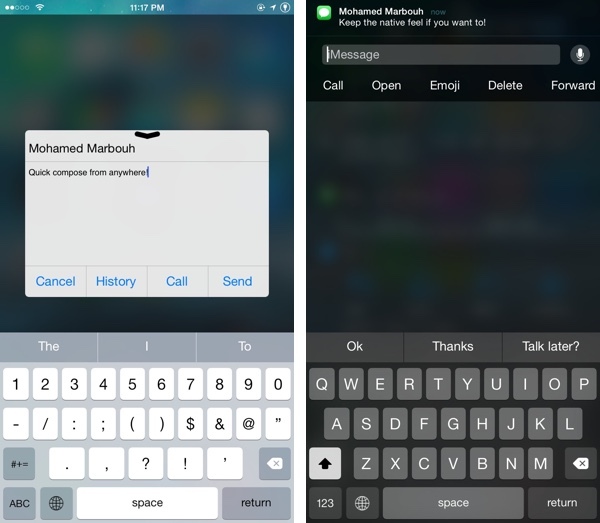 Programmable SMS jailbreak tweak is available for free from the BigBoss repo in Cydia. what’s the keyboard setup in the QRConversation screenshot? third-party? One of my favorite features of BiteSMS was the ability to mute individual conversations from popping up on my screen. I now happily accomplish that again with “Mutiny” on iOS9. YAY! With bitesms and prior to ios 9 I used to be able to stay on an app and reply or compose a message without getting booted from the app. It’s literally a window that u can move overlaying your existing app. Now the quick reply blond out my entire screen literally kicking me off. Is there a way around this or am I SOL? Call bar did the same thing for incoming call but it’s not ios9 supported.